Rink Promotions, having supplied Lawn Bowls Scoreboards for over 30 years, are committed to quality and service benefiting the sport of Lawn Bowls. 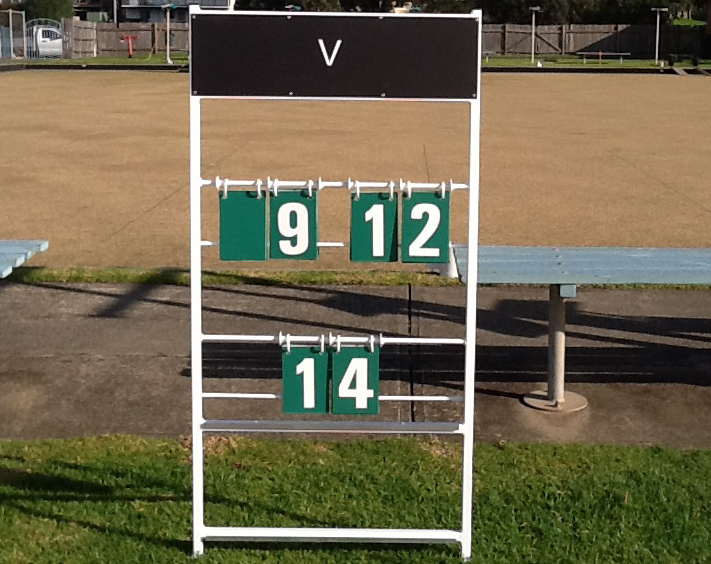 Our Rink Lawn Bowls Scoreboards are the best value in the market. They are lightweight, zinc coated and white powder coated, ensuring their resistance to rust. Together with the new PVC material, this ensures the highly visible numbers are durable and will withstand the Australian climate. these represent GREAT VALUE with competitive pricing. “I purchased new scoreboards this year from Rink Promotions and couldn’t be happier with the quality and crisp clean look they give each rink.